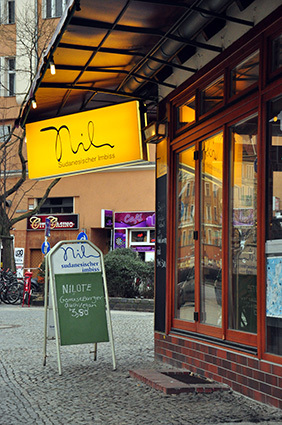 Nil Sudanisicher Imbiss is one of a kind restaurant, with three different locations in Berlin. It’s the first Sudanese restaurant to open in the city and the fare is primarily vegetarian. Although I was familiar with falafel, halloumi and tofu before I ate at there, I was not at all familiar with food from Sudan. Everything there is made fresh when you order and is absolutely is delicious, I find myself there at least once a week. Nil 3 – Kottbusser dam 21, Kreuzberg near Ziegenplatz. The first thing I tried was the Tofu Madagaskar, which is fried tofu with peppercorn, the fixings include peanut sauce, lettuce and tomato. I like the Tofu Madagascar so much that it was difficult for me to try other things on the menu. Finally, I decided to try the Tamiya with Halloumi, and now I’m stuck on that sandwich. 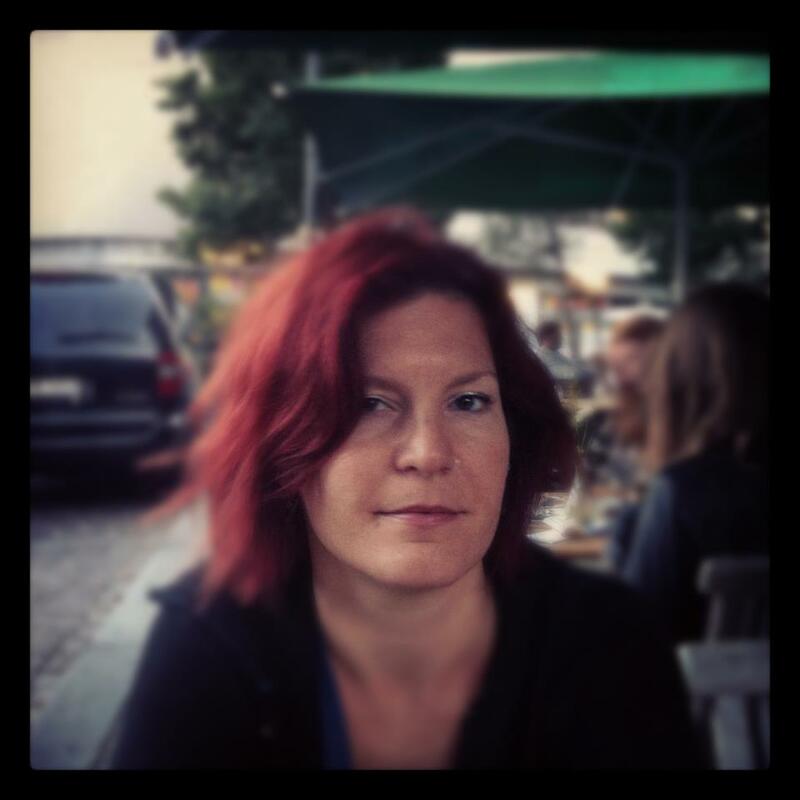 If you prefer things a little spicier, you can always ask for “scharf Soße”. Menus at the restaurant are offered in English, French, German, Italian, Portuguese and Spanish.